The concept of DNA theft is unknown. The Human Tissue Act broadly regulates the removal of all human tissue. Any infringement of the HTA and the perpetrator is liable to a hefty fine or even a prison sentence of up to 3 years. The 2004 Act applies to England, Wales and Northern Ireland whilst the 2006 act applies to Scotland (the 2006 is very similar to the 2004 act, it includes additional regulations which came into force in the aforementioned year). The law arose following the widespread removal of post mortem human tissue, with one of the major scandals in the UK being at the centre of the drive to create and implement the Human Tissue Act– the Alder Hey children’s hospital scandal of 1998. The scandal centred upon the discovery that organs were removed from deceased child and retained by the hospital or sold to pharmaceutical companies for research – without the consent of the parents. The bodies were often returned to the parents without many organs removed. The scandal caused much public outcry and emotional aggravation to the families involved who had to carry out multiple burials as their child’s organs were handed back gradually. How does the HTA affect somebody carrying out a DNA test in the UK? The issue of consent is central; anybody who wishes to carry out a DNA test in the UK needs to know that they may be liable to prosecution if they collect a sample from somebody who has not given their consent to the test. Leading UK based DNA testing companies, such as International Biosciences, easyDNA and The Genetic Testing Laboratories highlight the important of the Human Tissue Act on their site. It is not uncommon for people to carry out DNA tests to establish all kinds of relationships – most commonly it is probably paternity that is brought into question and often, a paternity test is carried out with either the father, the mother or the child being unaware that their DNA sample has been collected and that it will be used for any type of paternity test whether peace of mind or a prenatal paternity test. Individuals will often keep their eyes peeled in the hope that they might be able to find a sample, collect it and send it for testing. Of course, the HTA makes provisions – people under the legal age of consent cannot give authorisation to test their samples. In such cases, their legal guardian or parent may give consent on their behalf. In the case of people who are disabled or incapable of giving their consent, the Act also makes provisions. The tissue must only be used if it is deemed in the best interest of the person to use the tissue for research or any type of analysis. It is also important to note that the failure to give consent or the absence of it does mean that the person has acquiesced for the testing to go ahead. Consent must be clear and explicit; DNA testing companies offering such tests in the UK will normally provide consent forms. These forms need to be signed by every person submitting a sample, thereby giving consent to the laboratory to test their samples. Some companies undoubtedly do not warn or explain the Human Tissue Act even exists but these companies could be making themselves and the people tested legally liable. This entry was posted in DNA testing on 29 November 2016 by admin. A new Walk-in Centre is set to make legal DNA and drug and alcohol testing more convenient and more affordable. AlphaBiolabs is a UKAS accredited laboratory with the skills to carry out testing which can be used in legal proceedings. A strict chain of custody is maintained throughout the process from collection to testing to ensure the integrity of the sample is protected at all times. Up until now, clients in Leeds and West Yorkshire have had to pay a fee for a trained sample collector to visit an agreed address to collect the samples required for testing. However, AlphaBiolabs has now opened their latest Walk-in Centre in Leeds where samples can be collected for free. This will save both clients and the Legal Aid Agency money and make the testing process easier and more convenient. The Walk-in Centres are located across the UK with locations in North London, South London, Birmingham, Leeds, Manchester, Liverpool, Warrington and Preston. People providing samples can drop into the centre without having to make an appointment first, which could potentially speed up the process of organising both legal DNA tests and drug and alcohol tests. AlphaBiolabs is the only UK-based laboratory which offers this free sample collection service. All testing is carried out at the company’s laboratory in Warrington, Cheshire without involving any third party organisations so results can be obtained quickly and accurately. The company has become known for offering the world’s fastest legal DNA tests without compromising on quality or accuracy. Results can be made available on the same day the samples are received in the laboratory and its legal DNA testing is approved by the Ministry of Justice. Earlier this year, AlphaBiolabs received a prestigious Queen’s Award for Enterprise in Innovation for its efficient DNA testing services. The Leeds Walk-in Centre is the latest in a network of locations in the UK where samples can be collected safely, securely and in total confidence. It will be open on Thursdays from 9.30am to 4.30pm and manned by fully qualified sample collection technicians. 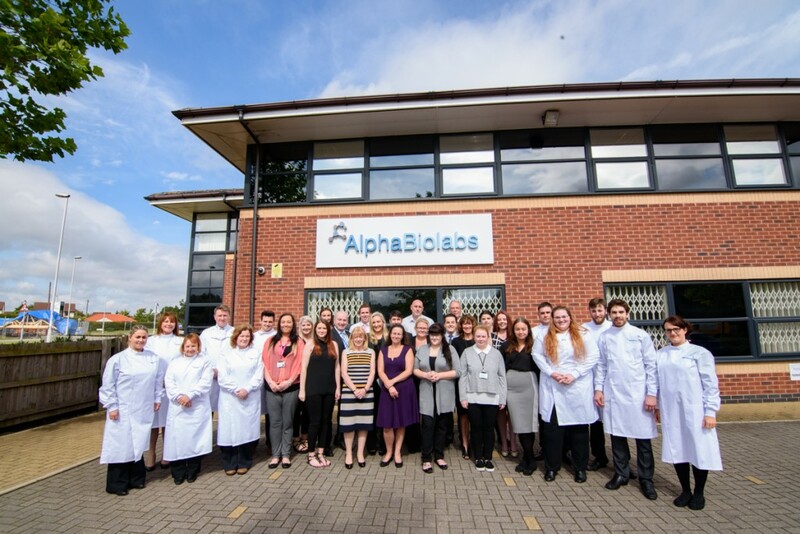 AlphaBiolabs opened its first Walk-in Centre back in 2013 and the company plans to open more in the future to make it easier for more people to access its free sample collection service. This service can potentially save customers up to £100 per person and is popular for legal tests, including immigration DNA testing. People providing samples who are unable to attend the Leeds Walk-in Centre can still arrange for a sample collector to visit them at their home or another agreed address, although a fee is payable for this service. Managing director David Thomas said: “We are really pleased to have opened a new Walk-in Centre in Leeds. We hope this will offer our customers in West Yorkshire and beyond a convenient and flexible solution to sample collection. This entry was posted in DNA testing on 30 September 2016 by admin. Collecting samples for DNA testing and paternity testing is today done using mouth swabs and exfoliated cheek cells. DNA testing is the standard means of determining whether people are biologically related. It is in fact carried out between alleged relatives as well as between parents and their children (such as happens in paternity tests). DNA testing can only be carried out if a DNA sample is available from the people involved in the test. If any of the people who need to be sampled are not available (perhaps deceased) other options will need to be considered. In this day and age what has hugely impacted DNA testing is the actual method of DNA analysis. In the 1980s any form of genetic analysis required very large volumes of DNA as the main method for analysis used: Restricted Fragment Length Polymorphism (RFLP) was only viable if scientists had access to large samples of DNA. RFLP thus also made it difficult for crime cases to be solved unless investigation of the crime scene by forensic experts yielded large blood splatter or several hairs. This method of analysis is not effective if DNA samples are small or degraded (by for example, temperature or chemical substances). Luckily, another method of DNA analysis has evolved, known as PCR (Polymerase Chain Reaction). This method of analysis makes it possible to work with minute, old and even degraded quantities of DNA. It is moreover, more cost effective and less time consuming than RFLP. PCR has made DNA testing available to the world: now online DNA testing companies such as EasyDNA, International Biosciences and Who’zTheDaddy?™, private clinics and hospitals are all offering direct-to-consumer DNA tests at low prices, using accredited laboratories and in very short timeframes. How are samples collected for a DNA test? We have already established that PCR or Polymerase Chain Reaction enables scientists to work with very small quantities of DNA. Thus, whilst in the past a DNA paternity test would have required a medical blood draw for scientists to effectively extract the genetic profile of the alleged father and child using RFLP, today’s polymerase chain reaction makes it possible to provide a DNA sample collected by means of a mouth swab (sometimes also called a buccal swab or an oral swab). An oral mouth swab looks very much like a cotton bud. These swabs can be purchased from any pharmacy although DNA testing companies operating over the internet will provide a home sample collection kit. Collecting DNA with swabs is simple and painless – another reason why their use is always encouraged for a DNA test. Oral swabs (or buccal swabs) need to be rubbed around the inside of mouth, mainly against the inner cheek. The gentle friction created by rubbing the end of the swab against the epithelial membrane of the mouth causes any exfoliated cells to attach themselves to the cotton ended part of the swab. This sampling method does not need any kind of assistance by a healthcare professional or doctor. Once the swabs have been rubbed inside the mouth for duration of around thirty seconds, they need to be left to air dry for around one hour. The drying time is important because it reduces the chances of any fungal spores germinating on the humid surface of the cotton (the humidity is caused by the presence of saliva). If any spores do germinate they may affect the validity of the sample. Ideally, mouth swabs are then placed into paper envelopes although some companies favor plastic containers. Paper is considered better because it allows some degree of ventilation and moreover, its absorbent properties may dry a damp swab, thereby reducing the chances of any mould growing on it. Ideally, any DNA test entails providing two mouth swabs for every person. 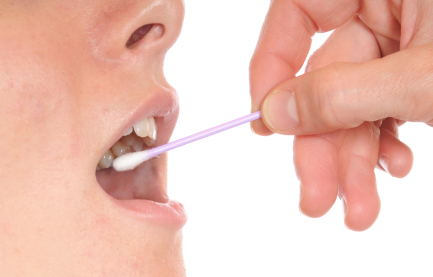 Whilst DNA testing using polymerase chain reaction is extremely efficient even with tiny, degraded samples, there may be cases in which one oral swab does not yield the required genetic markers, perhaps due to the presence of mould or perhaps because the number of exfoliated cheek cells on the swab is too small. In this case, providing a second swab means that laboratory analysts can immediately begin analysis on the second swab provided. Chances of successful DNA extraction from an oral swab are extremely high with a percentage probability of 95% (if all precautions have been followed). Karl M McDonald is a freelance writer specializing in the field of DNA and genetics, with special focus on legal and ethical aspects of such tests. More articles by the author can be found in various article respositories. This entry was posted in DNA testing on 26 November 2015 by admin. Understanding what a presumption of paternity is and situations which require paternity DNA testing. Statistics are not very reassuring. The AABB (American Association of Blood Banks) estimates that hundreds of thousands of paternity tests are carried out every year and the numbers keep rising. There are also other figures which could be of concern: cases of misattributed paternity (in other words, cases where fathers have been registered as the birth fathers but in actual fact are not) lie somewhere between 1-4%. In some countries this figure is even higher. Unfortunately, such statistics are not completely representative as many cases go unreported. Luckily, for those dads that have any uncertainty and wish to solve it, a paternity DNA test is the clear-cut, simple and accurate option to do away with those torturous doubts. As well as peace of mind cases, paternity tests are also used for court purposes with judges often issuing court orders for DNA testing when the issue of paternity seems unclear or is being in any way contested. Although many cases still operate using a marital paternity presumption, countless cases of paternity are nevertheless disputed in large part due to the widespread awareness of the availability of paternity testing. Where do I get a test done? A paternity test can be done in many clinics and hospitals which would often be affiliated with laboratories carrying out DNA tests or sometimes have their own labs. Many accredited online DNA testing companies such as Genetic Testing Laboratories, homeDNAdirect and others also offer direct to consumer testing. This said, the trend these days is to get the test done online. Web-based companies offer a wide range of DNA tests at better prices than brick and mortar clinics. You will find quite a selection of companies online so you need to decide how to filter your results and pick the right one. The following may help. Check for their accreditation: this is really important as you want a guarantee that your test is being carried out in a suitable laboratory with all the right equipment. The accreditations to look out for are ISO 17025 and AABB (this latter important accreditation is specific to the USA). Try contacting the DNA testing company and see how quickly they get back to you and how easy they are to contact. Do they have a phone number, a physical address and some form of online assistance, perhaps a live chat service? How is the actual test done? A paternity test compares the DNA of the alleged father to the DNA of the child to confirm whether these match or not. If the DNA profiles of the father and child do not match, it’s simple, he is not the father. If the profiles on the other hand do match, then he is the father. But to know whether the DNA matches or not, the laboratory needs to have a DNA samples from the father and from the child. DNA samples can be collected using home sample collection kits. Most online companies, including Who’zTheDaddy?™, which has its testing carried out at a laboratory accredited by the AABB and accredited in accordance with the recognized International Standard ISO/IEC 17025:2005 by a signatory to the ILAC arrangement, operate using these kits which they send to their clients. Inside the kit there are mouth swabs (used to collect the DNA), instructions, a return envelope and basic paper work to be filled in by the client and sent back with the samples. As the term “mouth swab” suggests, these swabs are used inside the mouth. In fact, they need to be gently rubbed inside the mouth for a few seconds and then allowed to dry. Once they are dry, they are ready to be sent back for testing. If it is not possible to get somebody’s oral swab samples, there are alternatives. Many times there is a whole range of other DNA samples that can be tested. You can use cigarette ends, used tissues, envelopes and many, many more. You could use a sample collected by means of oral swabs for one person and another type of sample for another person in the same test. The samples do not have to be the same. Once samples are in the laboratory, and the DNA profiles of the child and dad compared, a result can be issued. If the father tested is actually the biological dad, the result will show a probability of paternity in excess of 99.99%. If he is not the father, the probability is 0%. More correctly, this is referred to as a marital paternity presumption – the significance of this law is embodied in the name itself: marital paternity presumption means that any child born to a married couple is presumed to be the child of the mother and her husband. The law does not at this point consider the possibility of the born child having been fathered by a man other than the husband. The child becomes the heir of the father and is entitled to any benefits and financial support by that man. For the Child Support Agency and Child Maintenance Service, cases of contested paternity, mean the alleged father will need to provide DNA samples to prove his contention; should he do otherwise and refuse, the CSA is allowed to presume that he is the biological father. If the child is born outside wedlock, he or she has no rights to parental child support and is not recognized as an heir (unless the man who fathered the child declares himself as the biological father and undergoes all legal proceedings to be recognized). What is the logic behind a marital presumption of paternity? This law is actually a very old law dating back hundreds of years. In the past, there would have been no way of proving who had actually fathered a child and all that could be relied upon was the integrity and ultimately the declaration of the mother. Whichever child born within a marriage, whether as a result of an extramarital affair or not, was seen as a legitimate child in order to protect the child from the crippling stigma attached with the now obsolete notion of bastards and illegitimate children. This law helped hold the family unit together. In cases of a contested or disputed paternity or where a child is born out of wedlock, it may be hard to allocate rights and responsibilities without a DNA test for paternity. Under Roman law, a well-known Latin locution, states: Mater semper certa est. Pater autem incertus / pater numquam. This means that the mother is always certain but the father always uncertain. DNA testing has luckily changed this, providing answers to cases of uncertain or disputed parentage. Elena White is a freelance writer and writes articles related to parentage, child support, IVF and DNA testing. A variety of articles by the author can be found on many online blogs and info sites. This entry was posted in DNA testing on 19 November 2015 by admin. DNA testing convenience … but at what cost? Convenience is a key aspect of providing DNA testing excellence, as with any service, people want as little hassle as possible without having to compromise. Utilising a service that believes in more care, more convenience and more value – has perhaps never been more applicable with the introduction of Next Day Legal DNA Testing as standard and steadily adding of Walk-in Centre locations across the UK. These services are readily available to solicitors, social workers, local councils and members of the public – supplying them with access to affordable DNA testing at a time that is suitable for them, with the most desirable methods of execution. Not only are DNA testing companies such as AlphaBiolabs offering faster services, like that exhibited by their unique Next Day Legal DNA testing as standard but they are also providing varying solutions to make the sample collection process as hassle free as possible. One of the principal ways in which they have increased convenience is by opening facilities in new locations, the latest of which has been their Birmingham Walk-in Centre. No matter what purpose the testing is intended for, whether it is for the person’s own knowledge, for legal reasons or for immigration purposes, people can visit these centres to have their sample collected for free. This not only means more value, but it also means more practicality as the centres do not require and appointment to be made. During opening times and hours people can simply pop in to have their samples collected by a fully trained nurse. This is not the only innovative solution allowing people to have their sample collected, as there is also a sample collection network available to visit people at a location that is suitable to them, although there is a fee for this service. The centres will not only appeal to people from the city or town where the Walk-in Centre is specifically located, but also to anyone from around the area who can visit them. The Walk-in Centre locations are key to their accessibility as they are near town and city centres and are often walking distance from major train and bus stations. This is not the only cost effective service available for those who require testing, as express-like testing is now available for a standard price, namely arriving in the form of Next Day Legal DNA Testing. This allows people to receive their results by the next day from when samples arrive at the laboratory, without having to pay extra for the service. Most companies will only provide this speed of service with additional fees tagged on, meaning that the legal DNA testing could cost well over £500, and even more when you take into consideration the VAT. Next Day Legal DNA Testing is an exclusive service, which will cost considerably less, even when considering VAT and sample collection fees. Furthermore, it is possible to make further savings when utilising a free sample collection service at a Walk-in Centre, but this aspect is not exclusive to just legal testing. These centres can be used for peace of mind testing and immigration testing too, which are also provided with next day results as standard. Although DNA test kits are available for peace of mind testing, which can be self-administered by people at home at a time that is convenient to them, people can still visit the centres in order to have sample collection performed for results that are only for their own knowledge if they wish. AlphaBiolabs were the first DNA testing company to offer next day results for peace of mind testing, with legal and immigration testing following, which is rather remarkable when considering all the procedures that have to be meticulously followed for these forms of testing. For example, there are many procedures involved with maintaining chain of custody, confidentiality, data protection, providing identification and operating to the highest standards for a UKAS ISO 17025 accreditation, despite providing this incredibly quick turnaround time as standard. To achieve these turnaround times the company also utilise their own UK based laboratory and have invested in more staff, both in terms of increasing the number of employed individuals and in nurturing their development. Furthermore, a number of their teams, including operations, customer services and the DNA department have all streamlined their processes without compromising quality or essential protocols. Unlike companies that outsource the analysis process, they also have DNA specialists at hand for expert advice during any stage of the client’s case. Although customer service staff are trained to deal with many aspects that may arise, particularly as they can be dealing with family’s sensitive issues, advice from the DNA specialists can be helpful for more complex cases or for the clarification of results. This also means that a statement of witness can be supplied directly alongside the Next Day DNA Testing, which obviously cannot be provided directly by companies that are simply resellers. All these many elements contribute to making Next Day Legal DNA testing the most convenient choice for those considering DNA testing services either for themselves or as a decision on behalf of their clients. Put simply, they all add to the care and convenience for clients at a reduced cost as standard. This entry was posted in DNA testing on 18 September 2015 by admin. When deciding on a paternity test, you will invariably be asked whether you require the result for legal purposes or peace of mind purpose. The actual laboratory procedure for home DNA testing and legal testing does not differ. Both tests involve extraction and amplification of DNA using the same technique and a comparison of DNA profiles (usually comprising a total of 16 genetic markers) extracted from the DNA of the mother, alleged father and child. 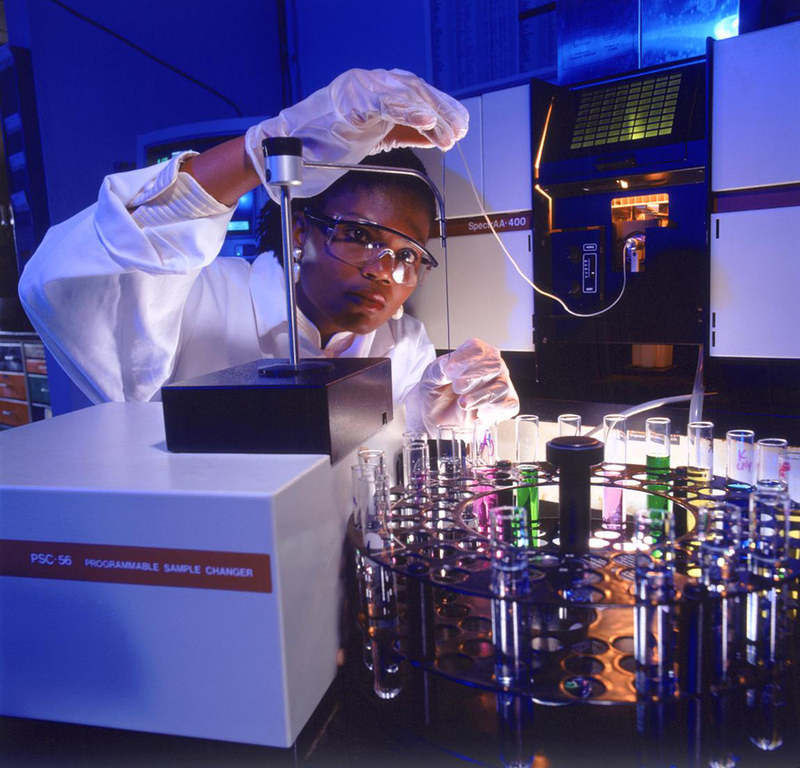 The difference between home and legal testing takes place prior to the actual processing by the lab – during the sample collection process. Legal DNA testing carries very strict guidelines and a prescribed set of steps that must be followed in terms of sample collection, documentation and sample custody. This procedure, which will be elaborated upon later in this article, is known as the chain-of-custody and is required by legal entities, typically courts and immigration departments. Home paternity testing, on the other hand, while still as accurate as a legal DNA testing, has no chain of custody. In situations where a person needs a paternity test that will be for information purposes only (for peace of mind), and not used in a court setting, a home paternity test will suffice. These types of tests can, for example, alleviate doubts that a mother may have concerning the actual biological father of her child. Home tests can also be used by fathers to get absolute certainty that they are in fact the father of a child or, by extension, to provide them with scientific proof they are not. While a home test will not be admissible in court, it could be a quick and cost effective first step in establishing paternity. For example, prior to going through the necessary process of securing legal representation, suing, etc., a person may wish to perform an affordable and accurate home test before investing in moving forward. The test is not legally binding but can be the foundation on which legal action is begun. With a home paternity test, interested parties will be responsible for collecting their own DNA samples using a home sample collection kit. Once they have collected their samples (typically using mouth swabs), they will need to fill out some basic registration and consent forms and send everything off for testing. The key to understanding legal paternity testing lies wholly in the sample collection and chain-of-custody procedure. A typical legally binding analysis will involve the addition of a 3rd party that is neutral to the test – this person is in charge of collecting the samples and verifying the identity of all test participants. This person, known as the Sampler, will not only be responsible for collecting the DNA samples themselves from every test participants, but will also be the only person handling the samples, sealing these into the appropriate envelopes with the necessary consent forms and documentation and sending them off for laboratory analysis. Results of a legal test are issued by email and also by hard copy. The hard copy is a notarised copy, which means it is signed by a laboratory notary. The notarised copy can be presented in court as proof of paternity. Paternity tests can be carried with or without the mother’s sample. Generally legal tests are always carried out with the mother’s DNA sample and home tests sometimes include the mother’s sample whilst in other times they do not. It does baffle people when DNA testing companies offer paternity testing with the mother’s sample – it seems somewhat strange to include the sample of the mother when one’s aim is simply to find out whether there is a biological relationship between the father and child. However, in terms of laboratory analysis, having the mother’s sample will allow for a more accurate result since once in the laboratory, the mother’s share of genetic inheritance can be neatly excluded from the profile of the child leaving just the paternally inherited DNA to analyse. Karl M McDonald is a freelance writer specializing in the field of genetics and DNA testing. This entry was posted in DNA testing on 3 September 2014 by admin.